What's it like being a lawyer in Pakistan? 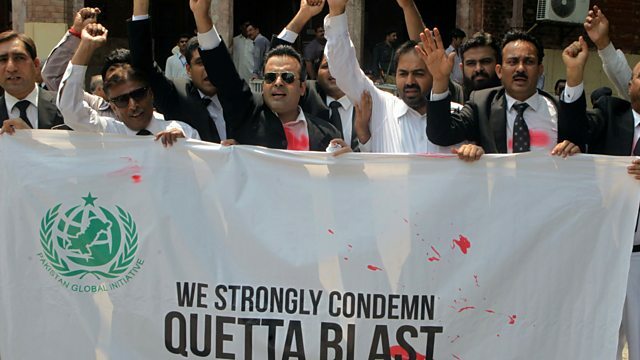 Lawyers across Pakistan are staging a strike in protest at a suicide attack in Quetta that killed more than 70 people. We hear what it's like being a lawyer in Pakistan. With Manchester United's multi-million pound record breaking fee for Paul Pogba, how much is a sports-person worth? "Every lawyer who has given me a lift home is dead"